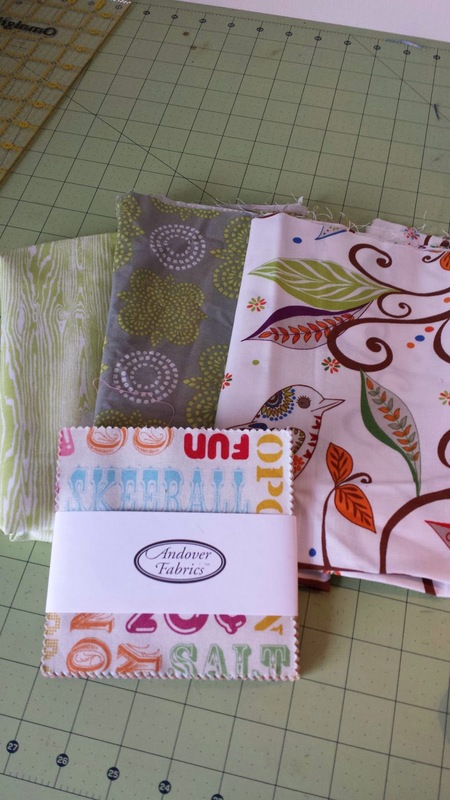 Quilty Habit: SMS Giveaway Day! 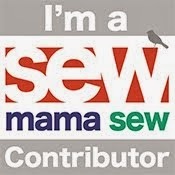 Welcome to Sew Mama Sew's Giveaway Day! Too. much. fun. If you're stopping by, I know you're looking for the giveaway, so I won't bombard you with my customary mosaic of favorite projects - you can look around the blog if you're so inclined, though :) Right now, I'm leading a series/linky party on Sewing With Certainty - you can check out this post for more info. I'm destashing a bit and want to help others build up their green stash (though green is on its way out ;) ). 2. If you're an old or new follower, just leave an extra comment. 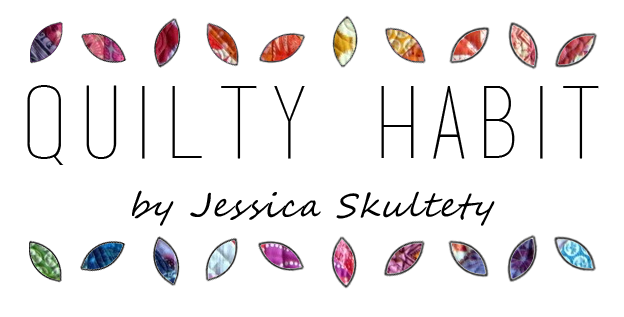 You can follow me on Bloglovin, Feedly, IG, Pinterest, whatever - just let me know! *The giveaway is open to anyone worldwide until 8pm EST on Fri., Dec. 13! I will choose a winner for all the loot via Mr. Random, and I will email you and update this post. If I get a no-reply winner without an email address, I will have to choose again. Please note that I will not be able to respond to all comments, though I usually do! Thanks and have fun hopping! :) Here's the link to supplies, and here's the link to handmade goodies! My now husband took me to the Cleveland Symphony Orchestra one year as a surprise one year. He told me I had to get dressed up and we went to dinner beforehand but I had no idea where we were going! I'm a jolly old follower. Years ago my brother wanted to spend christmas eve alone with his girlfriend so I was alone with my parents. Suddenly he came home because he realized it wasn't a real christmas without his family. Thanks! My biggest surprise was having my son come home for Christmas, after telling me he couldn't make it. I follow you on bloglovin! Thanks for a chance to win! My biggest surprise was 42 years ago when my then, boyfriend, told me he planned to marry me! We he did, 41 years ago. I surprised my parents 5 years ago with a flash flight from SC to Buenos Aires when I had told them I couldnt make it! The biggest surprise (it's hard to surprise me) was the year I got my first bicycle. A friend had one I loved and she would ride it over and share with me. One day she rode it around my house and my dad came out from behind the house riding her bicycle. Then SHE came out riding her bicycle right behind him. My dad was riding MY bicycle! 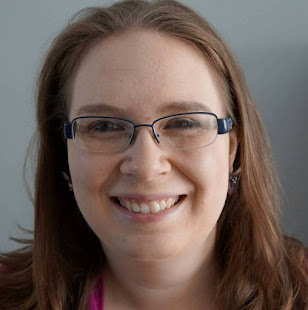 from today I follow your blog on google connect! I think the best surprises are when I've given quilts for Xmas. They are always unexpected and I've had more than one person cry, which of course is awesome. Thanks! My favourite surprise was my Christmas baby girl, as we were expecting a boy! Thanks for a fun giveaway. I already follow with GFC. I've had a lot of good surprises, most of them from when I was a kid and I ended up getting the toy I really wanted (I vividly remember getting a set of dinosaurs one year that had me doing a happy dance). I guess my best surprise was when my husband purposed a couple of days after xmas when I was at work. I worked/volunteered at a wildlife park, and he had arranged a big scavenger hunt...ended in the event barn, with a picnic he'd cooked himself, on the floor in front of the fireplace. Then we went for a walk, it was snowing, and he purposed at the wolf overlook gazebo (where we later got married, reception in the barn). It was pretty much his biggest act of romance ever...and we've been together almost 11 years (married 6.5). The Christmasses of my youth were always full of surprises. Can't remember one in particular. I do, however, remember one birthday when I was first married. My MIL gave me a freshly butchered chicken. Yes, I was surprised. One year we were celebrating Christmas in Minnesota with family ( we live in Kansas). My daughter's then boyfriend surprised her by flying to MN on Christmas eve and proposed to her in front of the whole extended family. They have been married for ten years now and have three great kids. I follow with GFC. Thanks for the giveaway. I think my favorite was the year we got my sister a rabbit. She had been begging for one forever, and then we had it locked in the bathroom for five days before Christmas, yet somehow she was completely stunned to find it sitting in the middle of the torn, discarded wrapping paper covering the floor Christmas morning. "It's a rabbit? Can I touch it? Can I hold it? IS IT FOR ME?" Mine was a guitar my freshman year in college - wish I'd learned to play it well. Thanks. I think my best surprise was my grand children's faces when they got up to Santa's and reindeer foot prints on the floor. We had made them the night before lol. We don't have snow at this time of year here in Australia so we used talc. My boyfriend bought me a sewing machine for Christmas one year and it was a very pleasant surprise! My husband asked my to marry him last Christmas in front all of my family!! I think that was the best surprise he could have given me....EVER! Thanks for a chance at your giveaway! Yay I follow with GFC - happy Monday to you!!! A holiday surprise - I guess that would be when my parents bought me a set of luggage for my semester in the UK but forgot to give it to me on the night when we celebrated the holiday and the next day my mom was thinking there was something missing (me not saying thank you) and it was the luggage - hahahaha - still in the loft 'hiding'! Labor Day Weekend. I was meeting my now husband in Vegas for the long weekend after having not seen him for 13 weeks (we were long distance). He surprised me by asking me to marry him! I got a snow day on my birthday once - very surprising and exciting! I follow your blog via the Old Reader. My husband proposed to me at a Christmas party - that was wonderful, being able to share the moment with friends and family. best surprise was my boy getting his sled last year. it's the only thing he wanted. My biggest surprise was opening a box of springs to a trampoline when I was 7! this was actually the best surprise I did for someone and it wasn't exactly a holiday. It was summer vacation though. I lived in alaska at the time and was unable to get home, New Jersey, too often. I planned, with my cousin, to fly in with my two young children and surprise my favorite aunt. We hid in the yard and when she came out we yelled "surprise". One word of caution, do make sure the person you are surprising like that is in good health :) She was. I really can't think of any surprises...I was always the kid that snooped around until I found my presents so I always knew what I was getting :). I surprised my daughter one year with hamsters and had them hidden at my mom's house. When I went Christmas eve to pick them up, one of the hamsters had escaped and we spent an hour chasing the thing. I'm a new follower on Bloglovin'! A Christmas surprise was we had heard a little kitty meowing in our basement window well, it was 1 degree above zero and we let him inside and he became such a wonderful companion, we named him whiskers and he lived 12 years. I loved that cat so! I'd say my best surprise was when my husband gave me a plane ticket to go visit my friend cross country. it was so fun! Thanks so much for the chance! My best Christmas was when I got three Nintendo games when I was very very young. Wheel of Fortune, Jeopardy, and Marble Madness. I can't believe I still remember that! I think my best surprise was when I got a new bike for my birthday -- with gears! Age 9 or so. Great question! Biggest surprise for me and best ever gift, I had my second son 1 day before my birthday. So we both had our birthday in the hospital. :) Thanks for the giveaway! I'm already a follower via bloglovin and gfc. Oh how pretty! The first surprise that came to mind was that my grandson was here on chirstmas morning last year and I got to see him open presents! We normally let them all spend the mornings with their parents but circumstances brought him to my house christmas eve and we had to "make up" christmas for him the next morning! 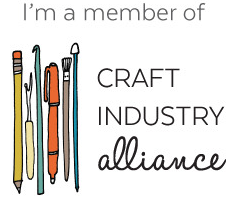 I am enjoying being a part of the Sewing with Certainty series!!! Mine was this Thanksgiving - I got engaged! The best Christmas surprise I ever had was when my hubby bought me a Bernina sewing machine!! I was totally shocked. Thanks for the giveaway! When my kids were little we were surprised to be awoken by our son asking for help to get his new toy tractor out of the packaging. They got up early and opened their presents without us! Thanks for the chance to win, Jessica! I happily follow via Bloglovin'! Beautiful giveaway, love the bird fabric. One Christmas when I was a kid we went on vacation. One night after dinner we were all out walking when we heard sleigh bells. All of us were so excited and ran back to our room as fast as we could. I remember trying to go to sleep as fast as I could for fear Santa would see us still awake and pass us up, hehe. It was ok as Santa did pay us a visit. not sure I've ever been completely surprised at the holidays :) No one can keep a secret! I think the year we got a huge swingset when I like 7. That was amazing for us to go outside and see it all set up! My best was Christmas Day at Disney in Florida, surprisingly magical! My best holiday surprise to my Mom was a set of quilts I made for her living room. My best as surprisee was a lovely piece of jewelery I got from my DH for your wedding anniversary. Thanks for the chance. Okay so...This is going to sound materialistic. When my husband and I first got together, his family did not like me one bit. We got married, and had zero support. He joined the military, and we lived off his low salary for a while, while I stayed at home with our daughter. We had nothing for the house except what we had when we got together, and what was already in our first apartment. So for our 2nd christmas together, to show my husband and I that they were wrong, my in laws bought us all kinds of kitchen and house stuff for christmas. The kind of stuff you get as wedding gifts and house warming gifts. It was so amazingly helpful, and such a great surprise. It was the beginning of a wonderful relationship with his family. My parents bought me a beautiful watercolour pencil set one year and disguised it by padding it out with junk mail and bubble wrap - I was stoked! Best holiday surprise...my parents told me to go get some tape in the other room after all of our other presents were opened...there was a purple sting-ray bike! My biggest surprise was a box full of socks from a boyfriend!!! It was totally unexpected and funny!! I follow you via Bloglovin' - thanks!! The year I got a 10 speed bike. It was bright green and from Sears. My biggest surprise ever was when I got my embroidery machine it was my Christmas / 20th wedding anniversary present. I didn't know my husband was gonna get it for me. We were at the Christmas open house at then local quilt shop. And him and the shop dealer surprised me with it...And then I won the big giveaway prize which was a 2 minute grab as much as you can in the small shopping basket giveaway. between threads and embroidery design packs I won $1200.00 merchandise. It was a fabulous day. I was cloud nine for a very long time. One of the best days in my life. Getting engaged in Amsterdam on a weekend away. I think my biggest surprise was my easy bake oven when I was 7 - best present ever!!! My best christmas surprise was a new bike when I was about 7! I don't really remember any good surprises, but am loving seeing the faces of my kids when they open their gifts! It's pretty hard to surprise me, but one year my brother called early in the morning (trying to be the one to wake me up) on Christmas and told us that he was giving us the car he'd helped us buy. Pretty amazing. Not Christmas - but one summer holiday we rented a camper and drove to my cousin's house - they had no idea we were coming! Best summer vacation ever. My husband took me on a surprise trip to Rome for my 30th. Our kleptomaniac dog had torn up his credit card bill and I found the scraps and thought he'd booked a trip to Majorca. Majorca is ok but Rome is my favorite city ever. My best Christmas surprise was about 3 days late and it was my first daughter who came about 3 weeks early (but healthy). One Christmas my toddler got into the presents before everyone woke up! It was so funny, we still laugh about it, and the scramble to get things rewrapped! That's a good question; I've had a few but I bet it was my gigantic poster of the world that my dad framed for me two years ago - he had to wrap it and leave it in the living room! Every couple of years, my bestie from interstate travels to town to surprise me for my birthday - she's awesome and I love her to bits! About 10 years ago my husband surprised me with 2 redpoll cows for Christmas! Snow in south TX and seeing Santa go in to the neighbor's house at midnight. Right before Christmas eight years ago, my husband proposed to me in the snow. I'm not often surprised by what hubby gets me..he usually asks for ideas but one year he bought me Ott lights..2 of them! How he knew that was something I wanted is beyond me to this day. We were moving to Texas and my husband moved first as I was staying behind to sell our house. He surprised me by flying home to be with us for Thanksgiving. That was almost 30 years ago and it still brings me warm thoughts. I am one of your followers via Bloglovin. Best Christmas surprise was a trip to Hawaii! It was amazing! Thanks for the giveaway! The first year we were married my husband gave my an Easter basket it was my 1st one. My then boyfriend, now husband, bought me a computer when I was a student in college YEARS ago. It was so needed and such a happy surprise. I follow you on pinterest as kluckingbear. Thanks! The best surprise I've ever gotten was a large toy horse when I was little. I still have it in my garage! I'm a follower via The Old Reader! Thanks for the chance to win! Last year my 22 year old son surprised me with two pair of TOMS. I know it's not "big" in the scheme of things but I never realized how much he was actually paying attention when I rattled on about shoes! It must have been when I was around 10 years old, my sister and I got each a new sledge with handbrakes, AND a flashlight! Then we could go sledging at night down the hillside in Bergen, Norway. That was a great christmas! HI, IT WOULD BE THE YEAR MY OLDEST DAUGHTER WAS BORN ON CHRISTMAS DAY! My best Christmas surprise was when I was a kid and unwrapped my very own pair of ruby red slippers like Dorothy. I was so happy and couldn't have cared less if I received nothing else that year. My mom just surprised me with a visit before Thanksgiving, haven't seen her in 4 years, it was a beautiful surprise. My best surprise was my daughter coming home from deployment in Afghanistan on my birthday - she wasn't due for another week or so - while I was at her home house/pet sitting for her so she would have a home to come home to. I was convinced she wasn't coming home...beautiful, tearful surprise!! I am a seasoned follower of your blog via email. My first watch.When I learned to read the hours and wise Men brought my first watch. My Husband proposed to me christmas morning, he had the ring hidden in the tree! the best surprise was when hubby surprised me with a new sewing machine! It was when I was first starting to sew and mine was almost dead lol. He did all the research and I loved it, was in shock! Thanks for the chance to win! My best was last Christmas when I booked my husband on a photography course. He had wanted to do one for ages but would never take the time for himself. He had no idea! When I married and moved to a new house me and my husband had almost nothing and he surprised me by getting a Christmas tree and decorations home. I know it is so simple, but I was really thinking we would not have a tree that year and I was a bit sab about that. Hi Jess....my biggest surprise was Christmas of freshman year in college. My parents had a deposit slip for 100 dollars that they had put in my bank account all wrapped and ribboned! This was 1974 when the checks I cashed for food were between 1-2 dollars per weekend (living on triscuits and tang) so you can imagine how thrilled I was! My very best surprise was for my birthday. My sister was living in spain and came to visit me in Idaho on my birthday. I had no idea she was coming. Best Birthday ever. Best surprise was getting all 5 kids together in secret Thanksgiving morning to have a professional photo shoot done for my parents Christmas gift. having my grandparents suprise us with a christmas visit! Being surprised with a Happy 50th birthday party. Such fun! I was away at summer camp and in the announcement time I found out that I had a new baby sister... but I had to wait until the end of the week to find out her name! My husband surprised me with a Gammill! I'm a follower via email. Thanks for the chance to win. Mine was a barbie dream house Santa brought me! I still have it and passed it down to my kiddo! My best surprise was when I gave my husband a PS3 and a bunch of games he wanted. He hadn't asked for it because he felt it was too much, but I cashed in my airmiles and other points to surprise him. He was totally stunned, and absolutely loves it! One of my best was my sister showing up for my wedding reception. They lived half way across the US, she had a one week old baby, we absolutely weren't planning on them coming and suddenly, there they were. Wonderful. Thanks. I don't think green can ever go out!!! They'll just find a new shade of it. The best Christmas surprise for me was when my grandparents came for Christmas the year before I got married. Oh my Maine?? Where? We're in Portland - love it here! Hope you have good driving weather : ) Two years ago we surprised both of our families when we drove 1200 miles from TN to MA for Christmas! The look on my dad's face when he answered the door was priceless!! thanks for the giveaway. My best surprise ever was 2 Christmases ago when my #1 son and DIL who live out of town showed up in time for Christmas dinner. They said they couldn't come that year. It also snowed which made it perfect. A washer and dryer!!! I had been toting my laundry and brand new baby around to wash my clothes...it was the best gift u have ever received!! Mt best holiday surprise was 2 years ago when my uncle who lives in London made a surprise appearance on Christmas morning - my Mum had known that he was coming but she'd kept it so quiet & she's SO not good at keeping surprises! Thanks for the chance to win this lovely prize. I'm a new follower, thanks again. My best Christmas surprise was an awesome new sewing machine. Just the one I wanted. My best Christmas surprise was a beautiful necklace I was not expecting. Also, your pumpkin spice latte quilt is great. One of the best maple leaf quilts I have seen. Love how you placed the leaves. My new BF(and now husband) gave me the cutest little boyd bear for christmas. Best Christmas surprise: My husband took note of the poor needles and supplies I was using for the first few years of knitting and dyeing yarn. He ordered an interchangeable needle set along with some smaller dpns to round it out, a swift and ball winder, and some yarn! All by himself! That was 5 years ago, I think, and by far best ever surprise. When I was 6 I got a bike for Christmas! Christmas 2011 I have WM a great weekend away to stay at the open range zoo a few hours away and to do all sorts of tours not normally open to the public! What a great weekend we had! I follow you on Bloglovin but I read you on Feedly! Thank you for an amazing giveaway... can't really think of any surprises at hte moment. My now husband, then date guy of 3 weeks, flew back from a trip to Spain to surprise me on my birthday. Good thing I didn't have another date guy around or my husband would now just be 'that other date guy'.